They are comfortable enough to be worn all day and sleep in all night. Water tight seal make them great for swimming and bathing, perfect for children with grommets. Washable which makes them easy to clean and very hygienic and easy to fit in seconds. The Earmold®™ earplugs can be teamed up with a variety of electronic devises from mobile phones, Bluetooth intercoms, two way radios, IPods and GPS for super clear sound even in noisy environments. 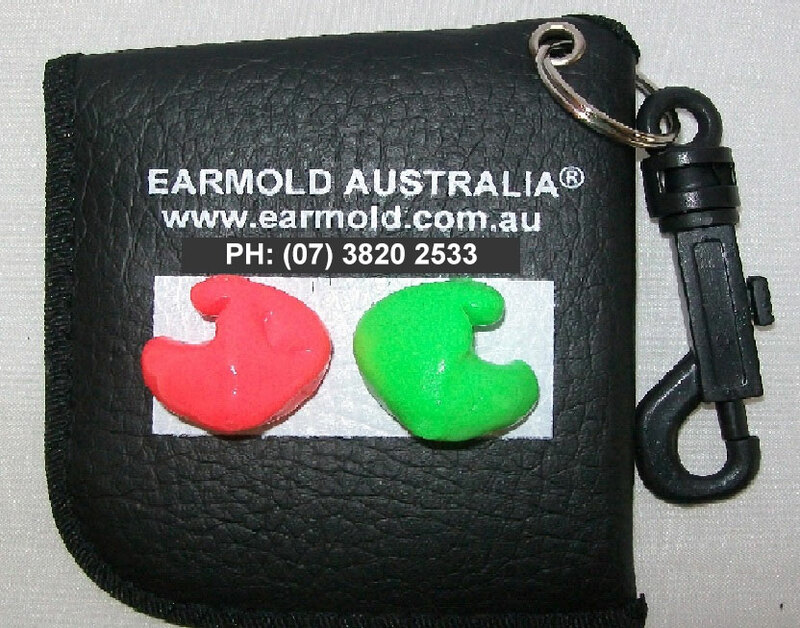 Earmold Australia®™ Insta-Mold®™ earplugs are the ONLY "On the Spot" custom made hearing protectors that to comply with the Australia hearing standards AS/NZS1270-2002 as a true Class 5 protector with an SLC 80 ratting of 28. Our procedure is especially developed to assure a "tissue to tissue" fit and is achieved because the individual's ears are used as the moulds so that the inserted Insta-Mold®™ material cures to the exact contours and shapes of the ear canal for a snug watertight fit. 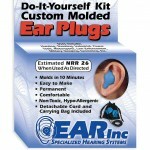 Earmold Australia®™ Earplugs are made from the highest medical grade premium silicone which is hard wearing yet still soft, pliable and will provide you with the ultimate in comfort and satisfaction throughout their lifetime. With an average life span of between 2 to 5 yaesr and even longer the Earmold Australia®™ Earplugs will provide you years of use and have a 2 year warranty against cracking or splitting. They are a true Class 5 hearing protector and are made on the spot taking about 10 minutes to mould and are usually ready for use within 30 minutes, larger groups may take longer. They can be made with or without handles and a neck cord to keep them together as a pair and will not interfere if you wear glasses or head protection and come in a handy carry case. 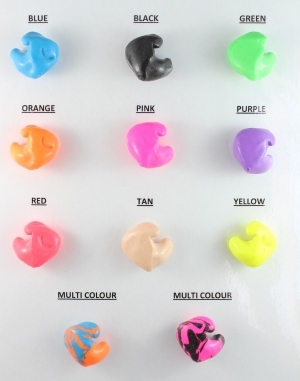 With colour choices to choose from and the benefits of Insta-Mold®™ you will love these earplugs for years to come and can be used for Industry, motorcycle riders, motor sports, sleeping, shooting, swimming, relaxation, concerts and general hearing protection.